Begin in an upright standing position. Tilt your head to one side and hold the position for 2 seconds. Return to the starting position and repeat the movement on the other side. Start off with one set of 5 repetitions on each side. Perform the exercise in a smooth, controlled movement with a good stop at the end position, ideally holding for 2 seconds. The intensity is light. 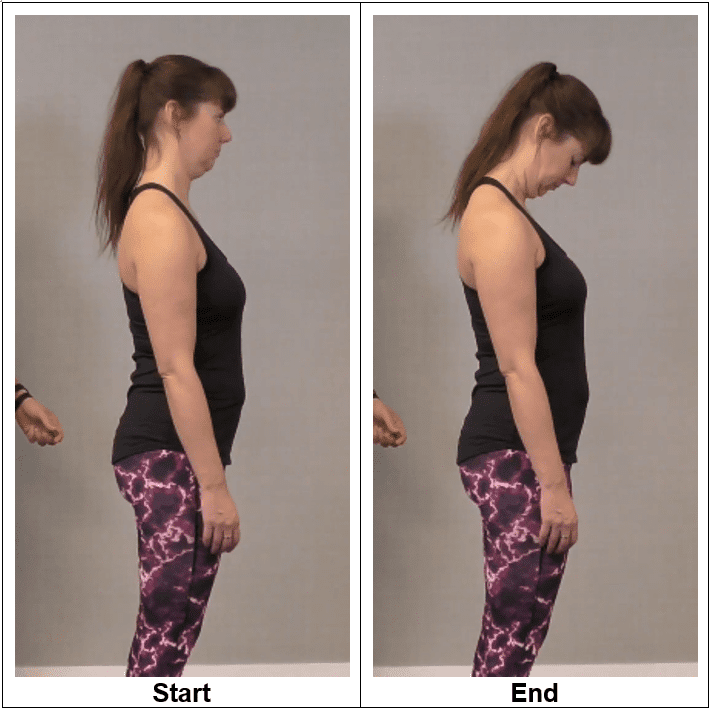 The purpose of this exercise is to stretch the opposite side of the neck and also to work on the movement and mobility in the neck when it comes to side-to-side direction. Begin in an upright standing position with your head, shoulders, hips and legs in proper alignment. 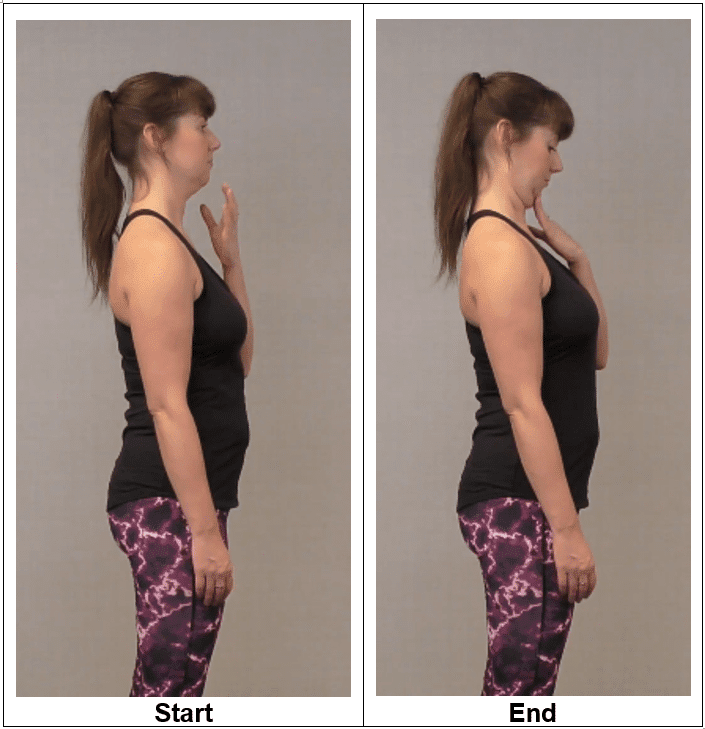 Drop your chin toward your chest bone slowly and hold the position for 10 seconds. Return to the starting position and repeat the movement. Start off with one set of 2 repetitions on each side. Perform the exercise in a smooth, controlled movement with a good stop at the end position, ideally holding for 10 seconds. The intensity is light. 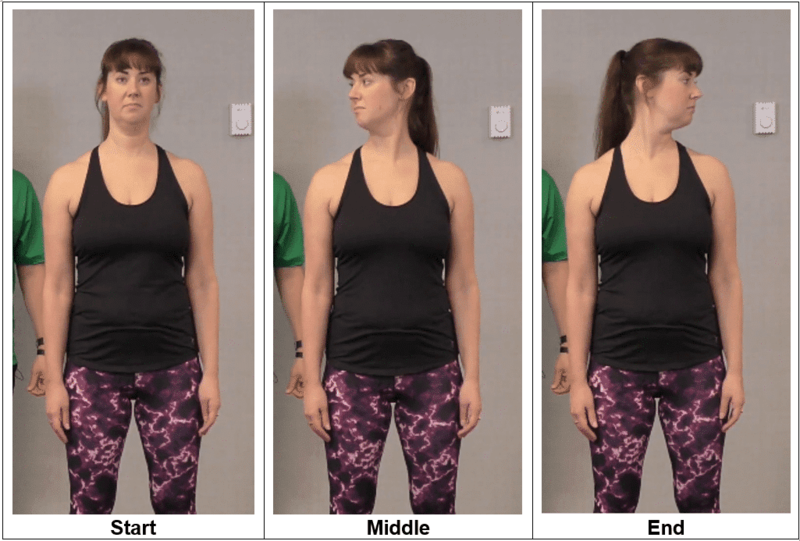 The purpose of this exercise is to work on loosening the muscles in the back of the neck and also to work on the movement and mobility in the neck when it comes to forward direction. Begin in an upright standing position with your head, shoulders, hips and legs in proper alignment. Slowly bring the chin down and back to elongate and bring the entire head back. Hold the position for 10 seconds. Return to the starting position and repeat the movement. The purpose of this exercise is to work on stretching the muscles at the base of the neck and also to work on the movement and mobility in the spine in the back direction. Begin in an upright standing position with your head, shoulders, hips and legs in proper alignment. Look straight ahead and then rotate your neck to one side. Hold the position for 10 seconds. Return to the starting position and repeat the movement. Start off with one set of 5 repetitions on each side. 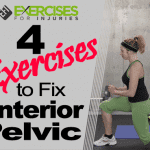 Perform the exercise in a smooth, controlled movement with a good stop at the end position. The intensity is light. 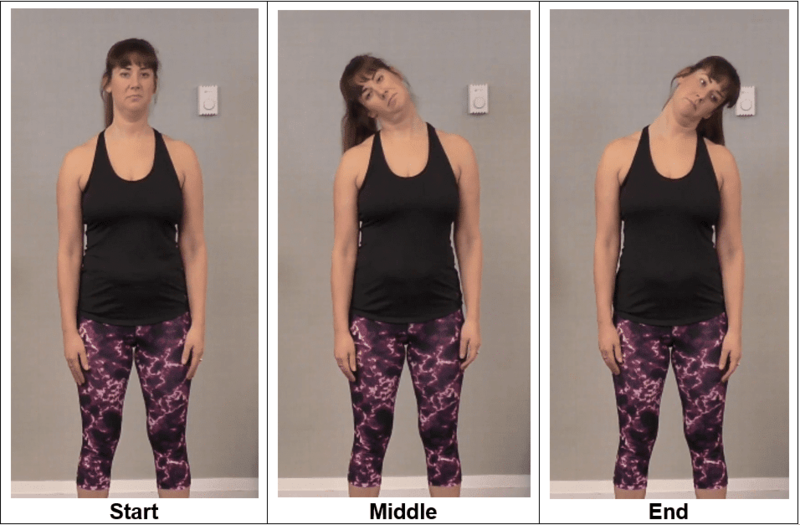 The purpose of this exercise is to work on stretching the muscles in the neck especially when it relates to rotating to one side and also to work on the movement and mobility of the neck when it relates to a rotation. 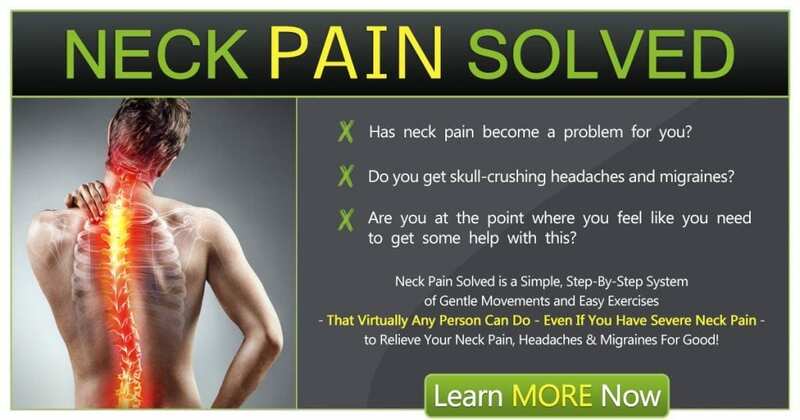 Give these four exercises a go and choose what exercise targets your neck pain best. 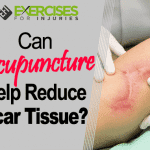 Can Acupuncture Help Reduce Scar Tissue? Activated Charcoal – Does It Work?